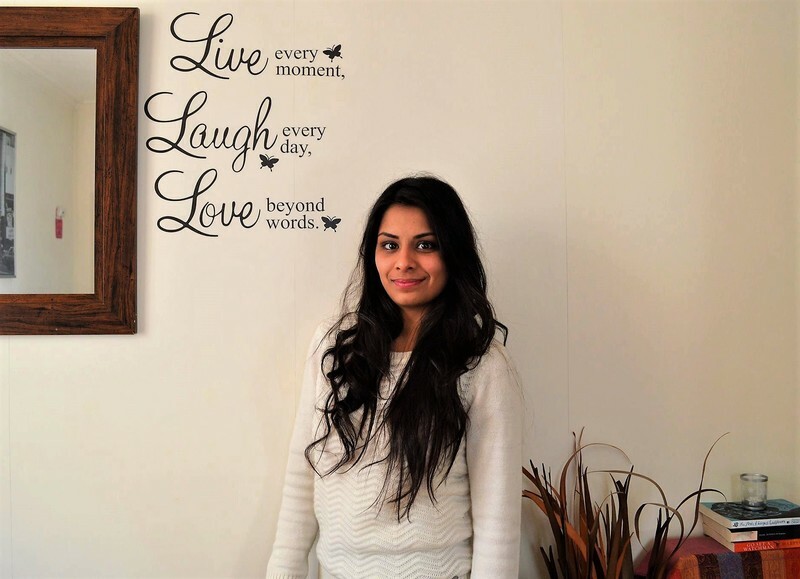 Esha Malkani, founder of Lasya Dance on YouTube, grew up in a tiny country on the tip of Europe - Gibraltar. She has been dancing since the age of 13 and followed through with her passion for dancing at University in London. Bharatnatyam has played a big role in everything Esha does and she always turns to this dance form when searching for inspiration. Ankita and I had a lovely chat with her on our podcast Desi Outsiders and we can guarantee you'll leave this post feeling just as inspired as we were! M: I knew you from a very young age and I remember watching you perform in some small community events in Gibraltar. Gibraltar is a tiny country and we’re not exposed to our Desi culture as much as someone would be in the UK. So everything we learned as kids in Gibraltar was mainly at home and through the TV. So what exactly sparked your dance hobby and your passion for this art? A: There are so many components that go into what you do. It’s not just about the choreography and dancing, but you also have to pick out these beautiful costumes, record your video, edit, upload and work on your social media platform. How do you find the time to manage all of this with a full-time job as a chartered accountant? I’m not going to lie - it’s tough. It’s very tough. I am trying to kind of juggle my career and passion together, which is difficult, but I’m slowly finding a balance. It really is all about prioritizing and dance is something that I’m really passionate about. So I don’t see it as a chore. On the evenings during the weekday, I choreograph my dances and then I record on the weekends. The weekdays is where I edit and work on my social media platform. A: How do you manage your social media presence? M: If I’m not mistaken, you have a lot of followers from some really random places, like Uzbekistan - these followers actually make a video of your choreography and send it to you. How does it feel to see someone produce your own work, especially since most of them are not even Desi? It’s incredible, I cannot even explain the feeling. This all links into why I kind of started this because growing up in Gibraltar, I’ve always had an interest in Indian dance, but I never had any classes, or any teacher to guide me. Everything was self-taught and I would have loved to have a mentor to guide me at the time. I never had that and that’s one of the reasons I started my YouTube channel because I found it was an opportunity for me to reach out to people all over the world and for them to learn something from my channel regardless of whether they have access to an Indian dance class or not. As I interact with my followers, I can’t imagine how different my dance would be if I had access to YouTube 15 years ago. I had to learn a lot of it from the top of my head and as a teenager. I had a rule that I didn’t want to copy anybody’s moves. I didn’t mind taking inspiration. Now that I’m able to spread my knowledge and passion with other people, it really is an amazing feeling. M: This might be a weird question, but when you perform Bharatanatyam, I feel that the expressions are what really stand out the most. As a person, are you that expressive? A: I notice that you shoot some of your videos at home, but recently, you’ve started shooting in a studio. For anyone who’s aspiring to follow in your footsteps - how do you rent out this space? I’m part of a gym, and luckily, they just allowed me to use their studio. But I did start at home, and if you do have space at home, you can use that! You can set up your dance studio anywhere you like! M: What made you pick up a camera and record your first YouTube video? My husband! I had recorded a video of a surprise dance that I had performed for him at my wedding, O RE PIYA. I was hesitating so much to upload it because I was convinced that nobody was going to watch me. My husband convinced me to upload it and I was sure nothing was going to come out of it, but a few months later he suggested I start tutorials. So I tried one, just to see how it would go and it was the most nerve-wracking thing that I have ever done. M: Because you mentioned this YouTube channel as a prompt from your husband - did you start off with an idea of branding yourself, or did you go into this as just a hobby? It’s still certainly a hobby and I have obviously started thinking about my long-term plans, but at the moment, I haven’t planned everything out. I want to see where it’s going to take me for now. My foundation is Bharatnatyam, I still go to my classes and I hope to continue to do that. I haven’t got an exact idea of what I want to do, but there will always be a classical influence in whatever I do. A: Because you do so much Bollywood, I just wanted to ask you who your favourite Bollywood dancer is? Definitely Madhuri! She’s incredible - her expressions, her style, everything! M: There are many dancers on YouTube who also dance to Bollywood. So when you started, did you ever feel that it would be difficult to stand out from the rest? Did you ever have any anxieties? M: What do you think of Salman Khan’s dancing? Ermmm, well, he’s not Hrithik Roshan! A: Imagine there is a young girl who wants to be just like you when she grows up. It doesn’t necessarily just have to do with just dance - what advice would you give to someone who wants to follow their passion? Focus on your studies - that’s very important. It’s good to have extracurricular activities which is what I had growing up. So when it comes to exams, it will be difficult to balance things, but the important thing is to just try and find a balance between both. Both are equally important. And when you’re old enough to make a decision with what direction you want to go towards, you’ll have both to fall back on. Coming from an Asian background, education is very very important, and a career in the arts is still frowned upon. My parents have always been very supportive of my dance, but just as a hobby. They’ve always emphasized the importance of education to me, which is great because now I have both options available to me - my job as a chartered accountant and my hobby as a dancer. Or any other podcast apps that you might be using. Do follow us on Facebook, Instagram and Twitter.